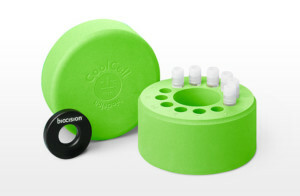 CoolCell alcohol-free cell freezing containers ensure standardized controlled-rate -1°C/minute cell freezing in a -80°C freezer - without alcohol or any fluids. 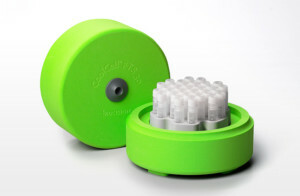 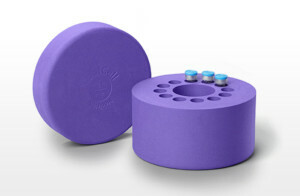 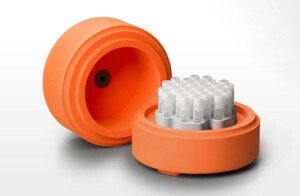 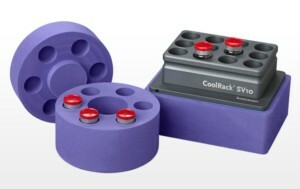 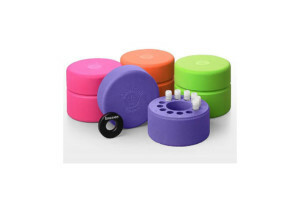 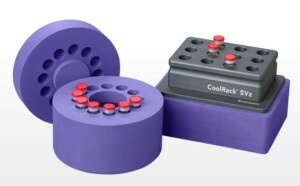 Cell freezing container for 1 mL or 2 mL cryogenic vials. 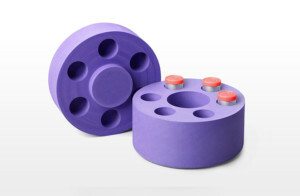 Numbered wells and exposed vial tops for quick vial removal. 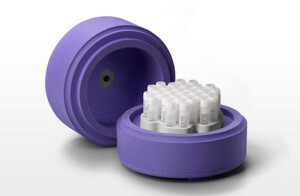 Holds 12 vials. 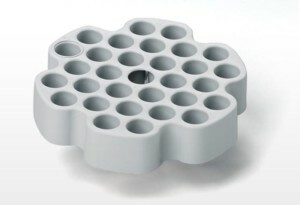 High-capacity cell freezing container for 1 mL or 2 mL cryogenic vials. 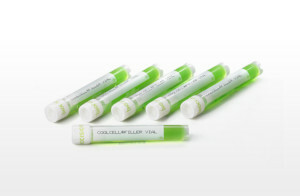 Holds 30 vials.